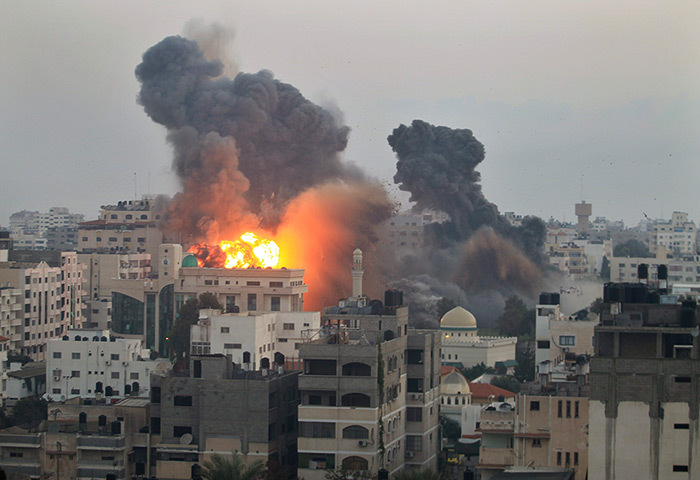 On July 24 at the Catholic Social Thought, Politics, and the Public Square page on Facebook, Jackie Turvey Tait asked if any Catholic moral theologians who are conversant with just war theory would comment on the current conflict in Gaza. What follows is a co-authored (Jackie and I) reflection resulting from that request. It appeared originally on July 29, 2014 at http://catholicmoraltheology.com/on-gaza-if-you-wrong-us-shall-we-not-revenge/. The just war tradition, which St Ambrose and St Augustine, drawing from Greek and Roman thought, introduced into Christianity, is the moral bedrock for a significant body of international law on the criteria for legitimate military action and for the moral conduct of armed hostilities. Its requirements are not carved in stone, it is a living, evolving tradition that continues to develop as theologians and legal scholars critique and explore its relevance to contemporary warfare. But the potential for escalation into unconscionable atrocity remains an ever-present spectre inherent in war, and the just war tradition—however flawed and fluid its marriage of pragmatism and principle—remains our best mechanism for reining in excessive violence and keeping open the possibility of post-war peace and reconciliation. At this time, most accounts of just war include three types of moral criteria. The jus ad bellum category has criteria that must be satisfied to justify armed military action. Even if jus ad bellum can be established, this is a necessary but not a sufficient condition for a just war. The conduct of armed hostilities throughout their duration should conform to the standards of jus in bello. Action undertaken during the course of the war should have due regard for non-combatant immunity and at minimum should weigh the likely military advantage against foreseeable collateral damage. And jus post bellum considerations have to do with establishing a just peace after the shooting stops. In sum, if you have the right to fight, you must fight rightly and, furthermore, you must win rightly. As regards the jus ad bellum justification for the Israeli action commenced on July 7th, Catherine Cavanaugh questions whether the rocket attacks from within Gaza could be said to have breached an existing state of peace, given the long and complex history of conflict in the region in which Israel could be construed as the aggressor. However, if the parties were already engaged in hostilities, the rocket attacks clearly fail the jus in bello test of discrimination so cannot be construed as a legitimate act of war directed against enemy combatants. By contrast, the initial phase of Israeli retaliation might be said to have been within the requirements of jus in bello. Alternatively, and perhaps more plausibly, if a state of peace—however short and fragile—could be said to have been in place, Israel arguably had the right under Section 51 of the UN Charter to reasonable and proportionate self-defence as a last resort in response to an attack violating their territorial integrity. However, there are several important caveats here and the European Institute for International Law and International Relations (EIILIR) questions whether the jus ad bellum criteria of last resort and proportionality to the original provocation were met in Israel’s decision to go to war. Moreover, whereas the EIILIR appears to accept the claim to just cause under Article 51, the International Court of Justice—in a 2004 advisory opinion—rejected its applicability to attacks originating within an occupied territory (and see here). If Israel’s relationship with Gaza is construed as an occupation, a categorisation that they refuse to recognise, the right to retaliation against rocket attacks remains, but only in accordance with jus in bello and occupation law which confers a greater duty on the occupying power to ensure protection of the civilian population. In addition, since the objective of a just war is to confront evil with reasonable force with a view to establishing a just peace thereafter, we need to question whether the military operation was embarked upon with right intention and with a reasonable prospect of achieving its military objectives. The aim of obliterating infrastructure to punish the citizens of Gaza as articulated by Gilad Sharon in 2012 goes some way beyond the scope of “reasonable force with right intention” encoded in international law. And prospects of success—if the aim is to prevent future terrorist attacks by use of overwhelming force—are questionable if not foredoomed: terrorism feeds on the grievances of the humiliated. Civilian casualties are clearly inevitable in any conflict—the more so where military action takes place in an urban theatre of war. However the numbers of civilians killed and injured have been extraordinary, with a very high proportion of child casualties amongst them. It seems unlikely that such extensive collateral damage can be said to have been unavoidable or proportionate to the military advantage secured, much less consistent with the duty of care owed to civilians under occupation. Hence the question arises as to whether non-combatants are being deliberately targeted in retaliation for similarly indiscriminate terrorist attacks. And—even if the bombardment can be shown consistently to have aimed only at the destruction of legitimate military targets—it is increasingly implausible to argue that the criterion of discrimination is being been upheld. Sharon’s 2012 Jerusalem Post op-ed is typical of attempts to justify indiscriminate attacks. His argument that the Gazan citizens are not innocent is irrelevant—the children of Gaza are innocent even on his own terms and international law requires military action to distinguish soldiers from non-combatants (irrespective of their “innocence” more broadly construed) and to refrain from deliberately targeting, indiscriminately attacking or disproportionately harming the latter. Since the establishment of the State of Israel there has been a flourishing of Jewish thought on the ethics of war—following a long history of stateless existence which occasioned no practical necessity for such reflection. This body of thought acknowledges such concepts as discrimination and proportionality (Charles Guthrie and Michael Quinlan, Just War: The Just War Tradition: Ethics in Modern Warfare [London: Bloomsbury, 2007], p. 48). Similar moral reasoning about just war may be found within Islamic thought (e.g., Ahmed Al-Dawoody, The Islamic Law of War: Justifications and Regulations [New York: Palgrave Macmillan, 2011]). Vengeance is by nature indiscriminate and disproportionate; it intends only harm. It is futile and counter-productive: in harming the prospects for future peace, vengeance harms the avenger and the common good as well as its intended victim. Let us hope that both Palestinian and Israeli leaders will reject Shylock’s insidious rhetoric (“the villainy you teach me I will execute…”) and listen instead to the better angels of their nature. Jacaranda Turvey Tait is a doctoral candidate in the Department of Theology and Religious Studies at the University of Chester. She is a graduate in chemistry and law, and her research interests are in the application of Catholic natural law theory to environmental ethics and public policy. Tobias Winright holds the Maeder Chair in Health Care Ethics at the Gnaegi Center for Health Care Ethics and is Associate Professor of Theological Ethics in the Department of Theological Studies at Saint Louis University. He co-authored After the Smoke Clears: The Just War Tradition and Post War Justice (Orbis 2010). Long before the UN outlined the need for “reasonable and proportionate self-defence”, before the elaboration of a just war theory aimed at “reining in excessive violence”, before Ambrose and Augustine, before their Greek and Roman sources, there was another law which one would have thought might weigh on Jewish consciences: the law of Moses restricts vengeance to “life for life, eye for eye, tooth for tooth, . . .” (Exodus 21.24). Admittedly that was in the context of personal fighting, not war, but still . . .